The perfect gift for a Gap Year! What do you get for the keen traveller who doesn’t want to overload their backpack with “stuff”? Especially as backpacking around New Zealand or anywhere else in the world is all about living on the bear minimum and simply enjoying the here and now. It’s a tough one, but as backpackers ourselves, we’ve come up with a few foolproof ideas to please your gift-receiver, whether they are your mate, family or a fellow backpacking buddy. Give them something useful for their travel and then they will think of you and thank you for saving their asses when they use it. So take a look at our extensive list below to find the perfect gift! It seems like an obvious one, but there is no backpacker without a good sturdy backpack, whether it’s something for multi-day hikes or for carrying their life around the world. Choosing and buying a good backpack isn’t something that can be done quickly (or super cheaply neither). Check out our guide on how to choose a good backpack. Start your backpack shopping with this awesome 65+10L backpacker’s dream under a hundy! Backpacking is essentially budget travelling, so the gift of some extra cash is a sure winner. Before your gift-receiver goes travelling, give them some New Zealand dollars – it’s like a taste of New Zealand before even landing in the country. Nevertheless, Euros or US dollars are easy enough to exchange in New Zealand, so that will do as well. Slip the cash in this great looking money belt for them to carry it safely. The travel bug is hard to shake off! 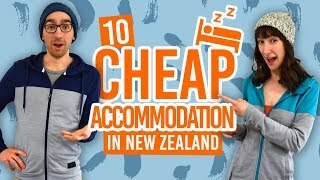 Chances are that the person that you are sending across the world is not just going to travel New Zealand. They might stop here, there and keep on travelling for a little while. With a scratch off world map they can visualise how far they went! Because we know it is not easy to find, we’ve done the hard work for you and found a Scratch Off World Map on amazon for you. The little action camera that took the world by surprise can turn everybody into a hero, and isn’t it what a gap year is all about, being your own hero? Plus in return for that gift you’ll get to see some awesome videos all year long. Try to not get jealous. Get in while stocks last: The GoPro HERO5 is on sale on Amazon at the moment! If you are not using all your air miles, a backpacker surely will. These little points might massively reduce the price of the next plane ticket or even make it totally free. Trust us, there is nothing sweeter to a backpacker’s ears that the word “free”. It seems like writing down your adventure is of another age, when everybody today has a blog, Instagram or Facebook, but it is the second most popular way to document a trip! Be inspired! We love that great looking vintage looking refillable travel journal. The traditional boring Christmas gift takes a whole new meaning for backpackers. Laundry can be particularly challenging when travelling, so the more socks they take, the less they have to worry about it. It’s a win-win! Don’t miss the slick looking lady version as well. During long hikes or at night, having a water bottle close by is always handy but the big bulky ones can take up a lot of space in a backpack. Luckily, some kind of genius recently invented (or just popularised) soft water bottles. They’re easier to pack and carry. Backpackers go nuts for it! Make sure to get a good quality soft water bottle as the cheap knock off don’t last long. If even a soft water bottle is too much of an hassle, the world famous CamelBak (or other branded versions) is a practical solution for the active backpacker who needs to keep hydrated. They are great for hiking, as they fit comfortably in a backpack and a tube coming from the pack means you don’t have to rummage for water. Pro Tip: If you are already happy with your backpack, go for the Camelbak Reservoir only and slide it in your backpack. Did you know that it is mandatory to have a medical and travel insurance with a working holiday visa in New Zealand? We recommend OrbitProtect as their insurance plans are designed for backpackers and they are based in New Zealand. Every now and then there is that guy horrifically snoring in the dorm. Travellers would do anything for a pair of earplugs then! Be a backpacker’s saviour and get them earplugs. We suggest going for Ultra Soft earplugs, it makes a world of difference! The most precious asset of any traveller is his/her passport, especially as it is one of the three valid forms of ID in New Zealand. Keep it fashionably protected under a thick layer of leather i.e. a passport cover. Most of them come with a matching luggage tag. Alternatively, some wallets include passport pockets. We love the colorful options from EccoloWorld. This is one for the backpacker-gifting-the-backpacker. You’ll find that a good beer is the social catalyst needed to get out of the shy-shell and help break the ice when meeting the inevitably many people during a trip. So if you want to treat your fellow backpackers in your hostel, a box of “goon” or a pack of beer should do the trick. You can also go for a wallet multi-tool that has a beer opener as well. 14. A good WiFi connection (for once)! We don’t know how you are going to wrap this one, so good luck to you… Internet is like oxygen for a backpacker, stay offline for too long and it feels like a deep dive. Sadly, New Zealand is a bit behind in term of free WiFi spots. So, if you happen to know a good spot with good WiFi where Skyping will not be a nightmare, share the love! A good place to start is with our free WiFi tips. There is nothing worse than running out of battery. Tablet, laptop, iPod, phone and camera: these are all pretty useful for a keen traveller. We are dependent on them to keep in touch with home, share our adventures, and find out where to go next. Having a good reliable travel adapter (with surge protection as a bonus) is a must! This travel adapter from Urophylla is stylish and universal! 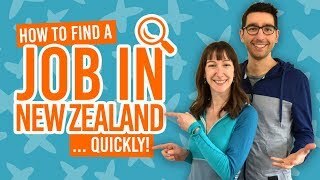 Get a Starter Pack or working holiday program to help your travelling buddy or relative kickstart their New Zealand gap year! We like this one from Working Holiday Starter, which includes more than 20 services to support backpackers. 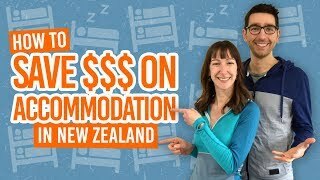 It is a great way to start a trip stress-free and make the most of travel, work and living in New Zealand. Some domestic planes have no inflight entertainment and most buses have no WiFi at all. A Sudoku book will help travellers kill boredom and keep their mind sharp, so they can rock their next job interview! With over 400 Sudoku, this Sudoku book will keep a backpacker entertained for days!!! Tangled wires are a nightmare, and sometimes, we just don’t have the time to take on that kind of challenge. It becomes more of an issue when constantly moving from place to place. We love this small and cheap handmade earphone organiser. The obvious choice for New Zealand would be the The Lord of The Rings trilogy or The Hobbit. But you know that person better than we do, so pick a book that they will love to read in a plane or laying down on a beach on the other side of the world. Start with the volume one of The Lord Of The Rings for instance. The Kindle is by far the most popular e-reader out there but if you want to save them carrying an extra gadget get them the Free Kindle App with Kindle Unlimited for well, unlimited books, magazines and audio books. The first 30 days are free then you can pay a small monthly or yearly fee fro the duration of their trip. It has taken New Zealand by storm, almost every backpacker is walking around with a selfie stick hanging from their backpack. Get a telescopic one so it does not take up too much space in the bag. There is even an option to get Bluetooth enabled selfie sticks! Because a plane trip to New Zealand is usually the longest one on the menu, making it comfortable is a really needed. A neck pillow offers better neck support and lead to a better rest during a flight. For space savers: get a blow up one! Now, check out other tips to prepare for a long haul flight. Get a printed neck pillow, just for fun! This is not something that should be bought on the cheap. Hiking boots or shoes need to be of high quality as the New Zealand hikes can be quite demanding. To make it easier, we have made an article on how to choose a good hiking boots for New Zealand. There are thousand of them out there, here is one we wore for a while. The new kind of Swiss army knives are incredibly useful when travelling around. From untying wet shoe laces to opening a can of baked beans, a multi-tool always comes handy. Not sure where to start? Leatherman is a strong player in the multi-tool market. Did you know that the iPod shuffle came in a waterproof version? That means dust-proof too, which in turn means backpacking-proof! Many other mp3 players come in a waterproof version too, so keep that in mind. Check out Royal blue, they use real original iPods and waterproof them for you. This nifty phone accessory turns any phone camera into a wide angle, fish eye or even macro lens. It is the perfect small and light weight companion for any traveller who wants to appear as a photographer but just isn’t. Get a kit from OldShark for even more versatility. What would be a trip without thousand of pictures to remember it by? Make no mistake, a good digital camera will always take better pictures than a phone, it is just a matter of getting the right one. Not everybody needs a bulky reflex camera. In case of doubt fo for a Lumix Tough. Waterproof, Dust Proof, Mud Proof, New Zealand PProof!